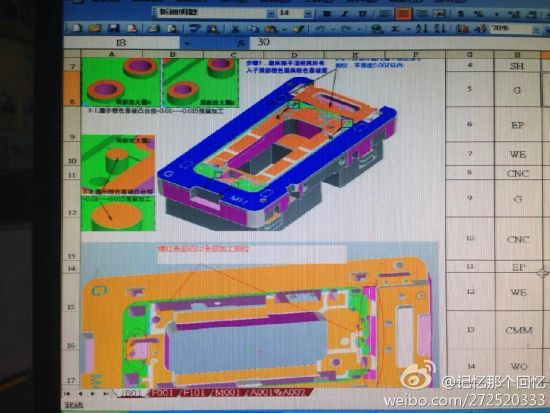 A set of photos published to the Chinese microblogging website Sina Weibo on Sunday allegedly show detailed schematics, CAD renderings and physical manufacturing molds for Apple's next-generation iPhone. 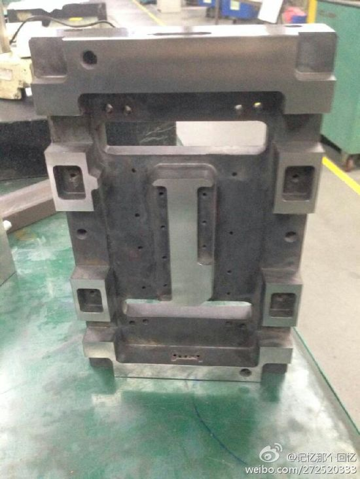 The pictures, posted to Sina Weibo, depict highly detailed iPhone 6 chassis production assets and are said to have originated at a plant belonging to Apple partner manufacturer Foxconn, reports GforGames. 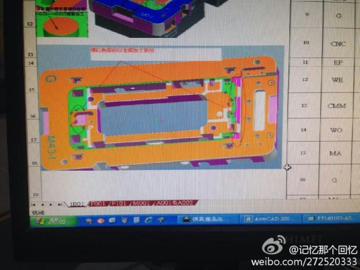 As seen above, one photo of purported iPhone 6 technical schematics shows an extremely thin chassis design with a tapered design and what appears to be chamfered edges, a design flourish used in Apple's most recent products. The overall look of the phone seems to be consistent with the iPhone range, with a display cutout surrounded by thin bezels and larger top and bottom areas for functional components like a Touch ID-equipped home button and FaceTime camera. A second photo offers 3D renderings of the supposed chassis mold, while additional images show the mold itself. 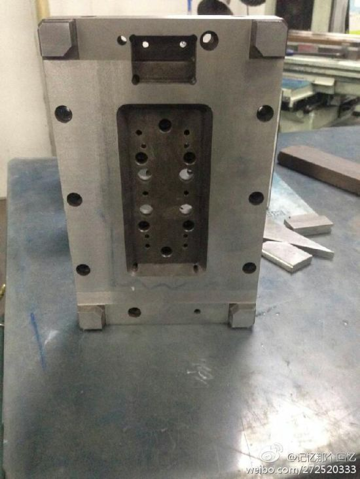 Without a current iPhone 5s or 5c in the photo for scale, it is impossible to determine the approximate chassis size these molds yield. 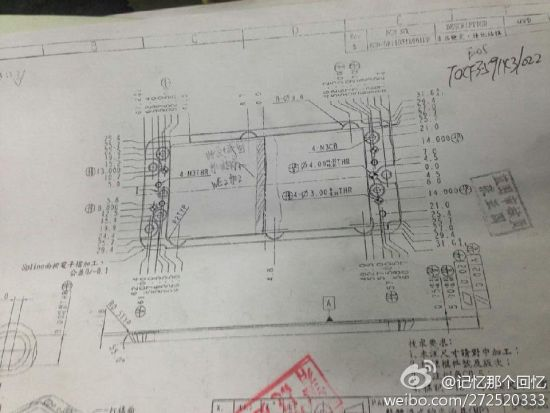 The unconfirmed leaks follow a growing pile of pictures associated with Apple's East Asian supply chain, the most recent being questionable shots of an iPhone 6 body. Apple is believed to be prepping two iPhone models for its 2014 product refresh, both of which boast larger displays than current models. According to a roadmap from reliable KGI analyst Ming-Chi Kuo, the company will release a 4.7-inch version as an iPhone 5s replacement, while a 5.5-inch iteration is to be marketed as a high-end "phablet" device.